Q. What to do if you receive an email from O’Reilly "Your Safari Access – Activation Required"? 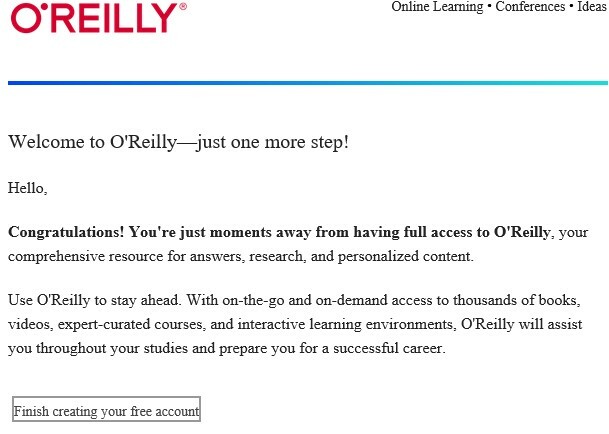 You receive an email from O’Reilly because you have successfully accessed eBooks in Safari. Follow instructions in the email to create an account. Next time you can access eBooks in Safari with your own login. However it is not necessary to create a O'Reilly account. Just use your SMU email address to access eBooks if you are not going to use some personalized features.